Adam Doerr advocates for companies and individuals involved in significant business disputes, including financial services litigation, class actions, shareholder and corporate governance disputes, and appeals in state and federal courts. He also frequently handles cases alleging fraud, misrepresentation, and unfair and deceptive trade practices, including the complex litigation that arises following the collapse of pyramid and Ponzi schemes. Adam litigates in state and federal courts in North Carolina and across the country. He also represents parties involved in litigation that spans multiple forums and jurisdictions, such as multidistrict litigation and simultaneous cases in state and federal court. 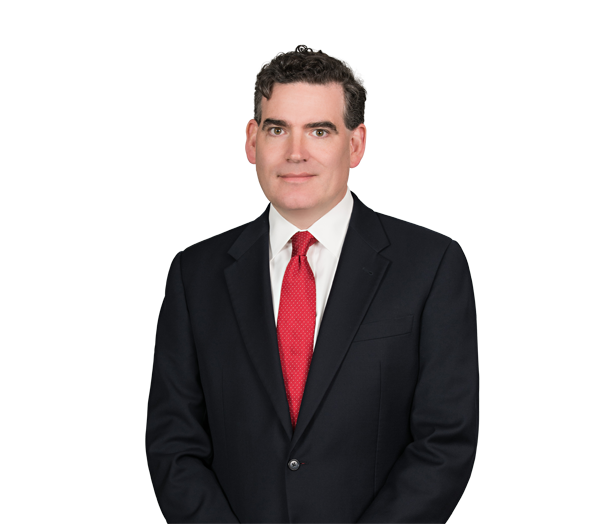 Adam co-chairs the firm's Class Actions and Appellate practice groups, and he serves as a member of the state Appellate Rules Committee. Represents a national bank in multiple putative class actions (MDL centralization in Boston) regarding what is alleged to be one of the largest Ponzi/pyramid schemes in U.S. history. Represented investors in settlement of derivative claims regarding over $300 million in real estate investments formed by U.S. Congressman Robert Pittenger; obtained approval of settlement by 51 real estate LLCs with over 1,400 individual members, including creation of new corporate entity to hold carried interest and negotiation of agreements with new manager. Represented governor of North Carolina in challenging proposed constitutional amendments; successfully obtained injunction based on failure of ballot language to inform voters about proposed changes to Separation of Powers and judicial appointments clauses of the North Carolina Constitution. Represents a Fortune 500 retailer in a putative national class action brought by tens of thousands of individual store managers, including an interlocutory appeal in the 4th Circuit and a petition for certiorari to the U.S. Supreme Court. Regularly defends board members, corporations and private equity firms against shareholder lawsuits challenging public company mergers, including litigation over eight different public company transactions in recent years. Represents public companies and investors in internal corporate disputes, including breach of fiduciary duty claims and books and records demands under both Delaware and North Carolina law. Represented former North Carolina Gov. James B. Hunt Jr. and former North Carolina Supreme Court Chief Justice Burley B. Mitchell Jr. as friends of the court in litigation that successfully concluded when the North Carolina Supreme Court struck down legislative changes to North Carolina’s state elections board in Cooper v. Berger. Defended a major securities ratings agency in litigation that resolved unfair trade practices claim brought by the North Carolina Attorney General arising out of the financial crisis. Represented Wachovia Corp. and its directors in successfully defending a suit challenging Wachovia's $15 billion merger with Wells Fargo. Ehrenhaus v. Baker, 2008 NCBC 20 (2008) (refusing to enjoin the merger), on appeal after settlement, 717 S.E.2d 9 (N.C. Ct. App. 2011) (upholding non opt-out settlement), 776 S.E.2d 699 (N.C. Ct. App. 2015) (rejecting further challenge to settlement). Filed multiple briefs with the U.S. Supreme Court, including an amicus brief for the Cato Institute supporting the victim of a police shooting, a petition for certiorari in a major class action, and an opposition to certiorari in a case raising First Amendment issues. Litigated complex fraud and other claims in multiple forums following collapse of massive Ponzi and accounting fraud scheme. Obtained dismissal, without discovery, of four separate cases filed in three different courts by shareholders regarding the decline in Wachovia’s share price; successfully defended results on appeal. Rivers v. Wachovia, 665 F.3d 610 (4th Cir. 2011); Browne v. Thompson, 727 S.E.2d 637 (N.C. Ct. App. 2012); Rice-Marko v. Wachovia, 728 S.E.2d 301 (S.C. Ct. App. 2012); Harris v. Wachovia, 2011 NCBC 3 (N.C. Bus. Ct. 2011). Defended Duke Energy Corp. in multijurisdictional litigation regarding its $32 billion merger with Progress Energy Corp. In re Progress Energy Shareholder Litigation, 2011 NCBC 44 (2011). Represented a nonprofit organization in appellate litigation over a challenge to the organization's tax-exempt status and historic preservation mission. Lynnwood Foundation v. N.C. Dep't of Revenue, 660 S.E.2d 611 (N.C. Ct. App. 2008).